Like winter, lumberjacks and hockey, poutine is definitively Canadian! What happens when you introduce that dish to the Finns? Launching a poutine restaurant in the Finnish market means introducing the Finns not only to a new dish, but to a new dining concept. The climates are similar, however, Finns and Canucks have different expectations on dining and diet. To bridge the gap between the cultures, we played off their similarities, namely an emotional connection to nature, cabin culture and hockey. The name Skwiiki is pronounced the same in English, Finnish and other Nordic languages, where a double i is pronounced as ē. The inspiration came from the “squeaky” sound that real cheese curds make on your teeth. 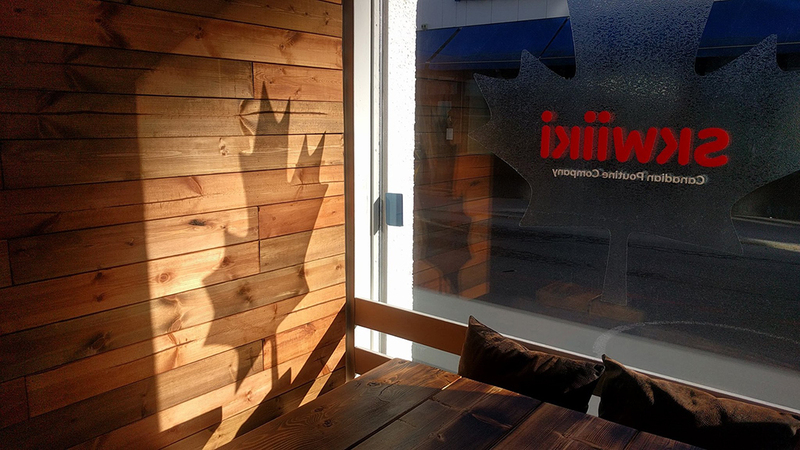 That sound and feeling virtually defines Poutine. If you’ve had real poutine, you know what we mean. If you don’t get it, you haven’t had real poutine. 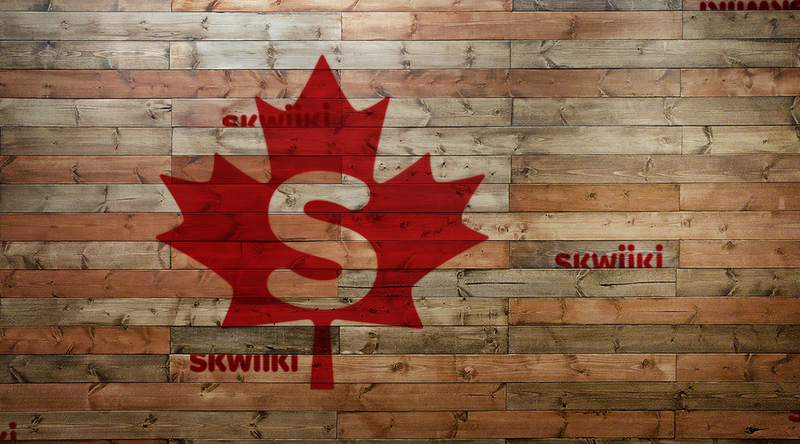 We adapted the Canadian maple leaf, changing its shape and proportions to conform to the S from the Skwiiki logotype. 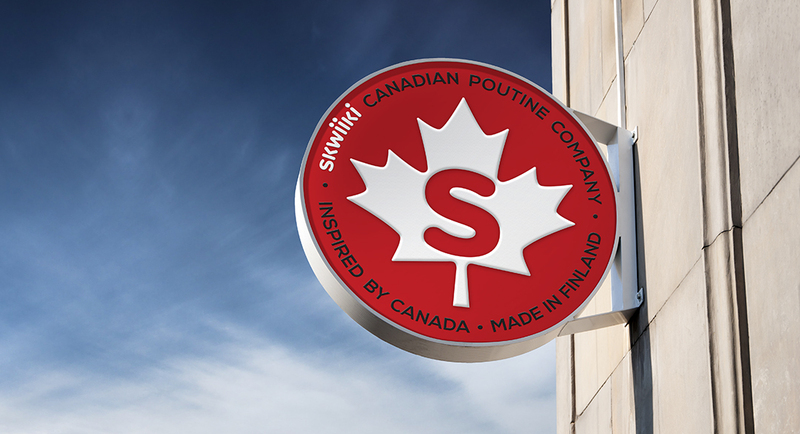 This placed Canada at the heart of the logo, because it lives at the heart of the brand. The Finns sense of humor reflects their environment. It’s dark, dry, sarcastic and full of subtlety. They’re also extremely resourceful and have the utmost respect for the environment. These values are part of Skwiiki’s DNA. 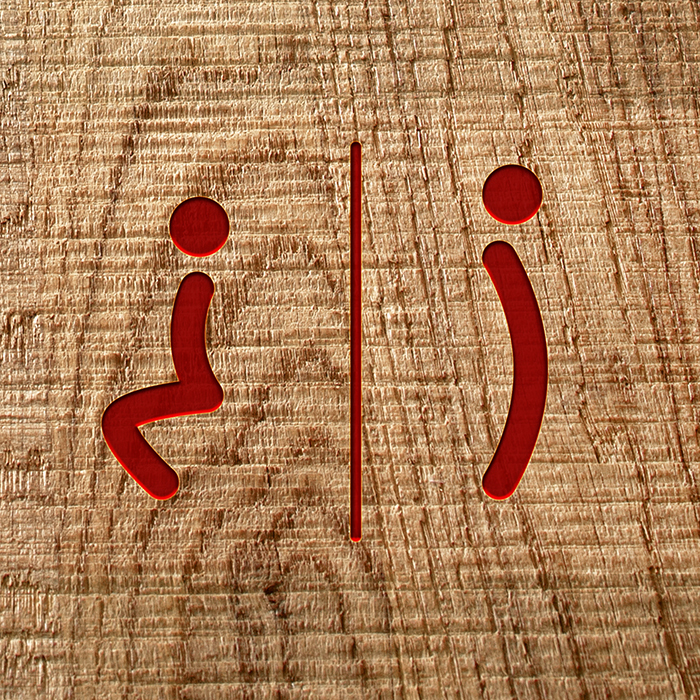 From the food and service to the use of recycled materials such as newspaper and reused lumber to the brand’s sarcastic sense of humor, Skwiiki’s connection with its patrons goes beyond the food they serve. And of course, Skwiiki provides tremendous value for the Euro! A series of symbols based on the brand’s logotpype. These addressed key points of customer intereaction that usually go unnaddressed, or fail to incorporate the brand aestetic & voice. 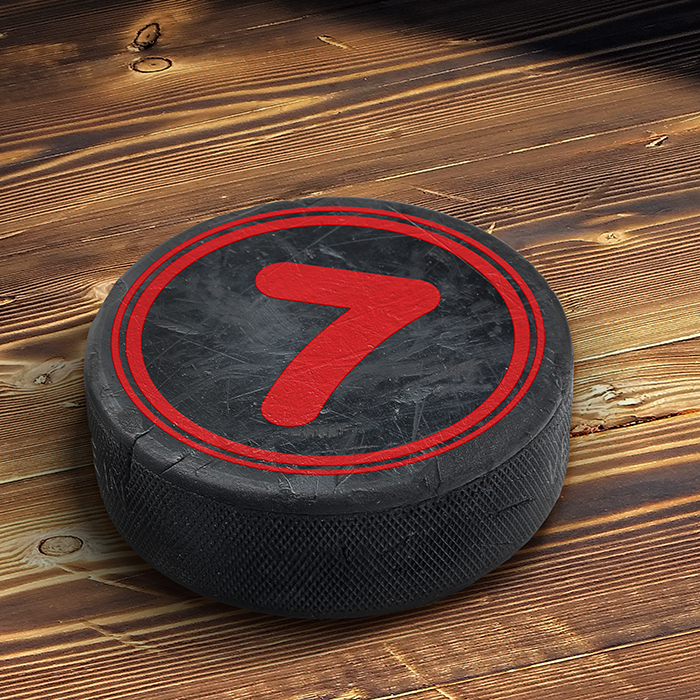 From coat racks crafted out of hockey sticks, to pucks used as order markers, we leveraged a passion shared equally by the Canadians and the Finns – Hockey! I have worked with Blackcoffee on several engagements over the years and would never have gotten as far as I have without them. They know more about branding than anyone I’ve ever met, but their talent and skills go way beyond that. They’ve added value to almost all aspects of my business success, to the point where I wouldn’t consider starting, growing or exiting a business without their input and talent.